We have organized Award Functions in Rajasthan. As we all know India is a country of huge diversity and people filled with different culture. In India, there are various countries that have a different culture and Traditional. People are finding ways for making there culture survive and alive in this era of changing world. Rajasthan a country filled with rich architectural and cultural heritage with arts, dance forms, music styles, songs & plays have evolved and survived since the ages. Keeping this point in mind Kanchan Cassettes & Series took a step or an important task in their hand and laid the foundation of Rajasthan Film Festival on 28th September 2013 to bring back the glory of the cinema of Rajasthan and to promote art and culture and Awards Shows in Rajasthan. 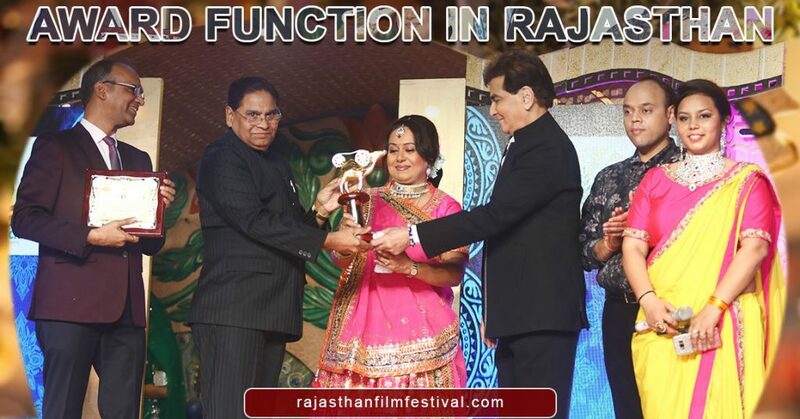 Rajasthan Film Festival involves various events, award show to honor and Build up the confidence level of both artistic and technical excellence of artists in Rajasthani cinema this provide them respect and sense of recognition and a platform where their talent can be appreciated by people. Other attractions of this festival hold dance performances, plays, live performances by singers, stand up comedians and poets. Rajasthan Film Festival is organized at various location and the celebrities from all over India come to attend this Spectacular event and Award Function in Rajasthan.